ONE HUNDRED NEW staff are being hired at recruitment company ‘Indeed’ — the world’s most popular job search site. The new positions will be officially announced by Tánaiste Eamon Gilmore and Jobs Minister Richard Bruton at the firm’s Dublin Docklands offices later today. Indeed, which was founded in 2004, opened its Europe, Middle East and Asia headquarters at the location last year, and has since hired 100 staff in Ireland. The new positions will be in sales, client services, business development, marketing, finance and operations. The expansion is being supported by the Irish Government through the IDA. 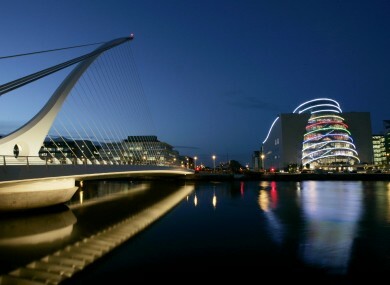 “Over the past 18 months Dublin has proven itself as the ideal location for a high–growth technology company like Indeed,” David Rudick, the company’s international vice-president said. Over 100 million unique visitors use Indeed every month; it’s now available in more than 50 countries and 28 languages. Email “Recruitment site Indeed hiring 100 new staff in Dublin”. Feedback on “Recruitment site Indeed hiring 100 new staff in Dublin”.